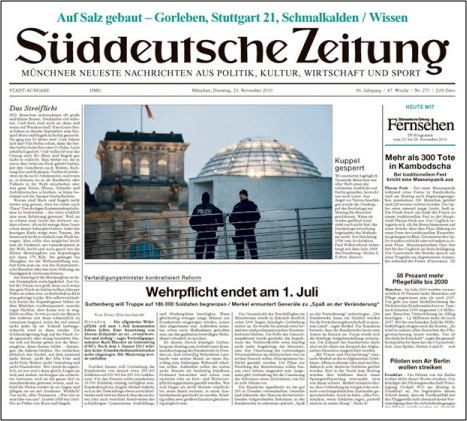 As revealed yesterday by Sustainable Pulse , on July 13th the German newspaper Süddeutsche Zeitung detailed information on how the US Government "advances the interests of their corporations," focusing on Monsanto as a prime example. The report titled, "The Sinister Monsanto Group: 'Agent Orange' to Genetically Modified Corn ," described a 'new fangled cyber war' being waged against both eco-activists and independent scientists by supporters and former employees of Monsanto, who are described as "operationally powerful assistants" and who have taken up sometimes high ranking posts in the US administration, regulatory authorities, and some of whom have connections deep within the military industrial establishment, including the CIA. "Monsanto contacts are known to the notorious former secret service agent Joseph Cofer Black, who helped formulate the law of the jungle in the fight against terrorists and other enemies. He is a specialist on dirty work, a total hardliner. He worked for the CIA for almost three decades, among other things as the head of anti-terroism. He later became vice president of the private security company Blackwater, which sent tens of thousands of soldiers to Iraq and Afghanistan under US government orders." "Thanks to Snowden and Wikileaks, the world has a new idea of how these friends and partners operate where power and money are concerned. The whistle-blowing platform published embassy dispatches two years ago, which also included details about Monsanto and genetic engineering." "For example, in 2007, the former US ambassador in Paris, Craig Stapleton, suggested the US government should create a penalties list for EU states which wanted to forbid the cultivation of genetically engineered plants from American companies. The wording of the secret dispatch: "Country team Paris recommends that we calibrate a target retaliation list that causes some pain across the EU." Pain, retaliation: not exactly the language of diplomacy." "The USA is hoping that negotiations started this week for a free-trade agreement between the USA and the EU will also open the markets for genetic engineering." "The Americans want to use the Free Trade Agreement to open the European GMO Market. The negotiations will be detailed. Toughness will rule the day. US President Barack Obama has therefore appointed Islam Siddiqui as chief negotiator for agriculture. He has worked for many years for the US ministry of agriculture as an expert. However, hardly anyone in Europe knows: From 2001 to 2008, he represented CropLife America as a registered lobbyist. CropLife America is an important industry association in the United States, representing the interests of pesticide and gene technology manufacturers – including of course Monsanto. "Actually, the EU cannot accept such a chief negotiator because of bias", says Manfred Hausling, who represents the Green Party in the EU parliament. If this report is accurate, we can assume that Monsanto has so thoroughly populated both the government and military industrial complex with its own supporters that any remaining illusion of there being a division of Corporation and State has now been dispelled. Worse, we are bearing witness to the preeminence of the Corporation over State, the very definition of a corpocracy. Listed below are links to blogs that reference this entry: US Military, Monsanto Targeting GMO Activists and Independent Scientists, New Investigation Alleges. This page contains a single entry by Toni published on July 15, 2013 4:00 PM. Health Agency Officials Knowingly Mislead on Vaccines was the previous entry in this blog. More Infants Developing Cancer Due To Effects of Estrogens and Arsenic In Soy-Based Formulas is the next entry in this blog.